This is an audio interview conducted by the Business Accelerated Company regarding the basics of email marketing. This interview, between Ellen Harris of Business Accelerated and Jason Werner of Opus Media, takes the opportunity to explain the basic principles and value that developing an email marketing program can provide to nearly all types businesses. Ellen Harris: Welcome to the Business Accelerated Company live event series where our theme for 2015 is marketing. Marketing is a challenge for many business, large and small. Finding the right resources to help us is an even bigger challenge. Our goal here at Business Accelerated is to make marketing simple. I’m Ellen Harris and joining us today is Jason Werner of Opus Media. He is our first guest to help us launch this series. Before I begin discussing marketing with Jason I would like to tell you a bit about his company, Opus Media. It’s a web design and full service marketing boutique established in Baltimore, Maryland in 2008. They excel in delivering marketing solutions that are founded in thorough planning and research designed to speak to target audiences and implement it in a coordinated manner across marketing channels in order to deliver the greatest impact. They deliver their solutions in a complete marketing framework, strategy, production and analysis that are focused on driving conversion for their clients increasing their bottom line. They take a metrics first approach that leverages tangible marketing data to infer and analyze the efficacy of their strategies in order to make continual improvement through perpetual optimization. They enjoy a nimble business model that allows for a level practical agility that is not often found in larger agencies. Depth of services and world-class experience help them establish a higher benchmark for complete quality marketing solutions not often found at smaller agencies. They are Opus Media. Jason Werner is our guest. Welcome Jason. Jason Werner: Hi Ellen, thanks for having me. Ellen Harris: I would like to kick off our discussion around the concept of email. In our professional careers I supported email on the back end through unified communications. When I read your background, you provided your support on the front end. Give us a little bit of background and history of how you got involved with email. Jason Werner: I often like to say I got suckered into email Helen. It was one of these things where as the internet evolved as a marketing medium, nobody knew how to really approach email at the agency I was working at, at the time. I was working at a large, actually the largest advertising agency in our area. It was just uncharted territory for them. Being low guy on the totem pole at the time it was given to me. Here, you figure this out was the approach that was taken with this. I just immersed myself in learning email marketing from there from both a technical standpoint of how do we deploy emails, what systems do we use, what sort of technology goes into deploying emails, but also through the idea of how do we improve email in terms of this efficacy as a marketing channel. From there, again, working in an agency setting got to have a wide range of experiences in working both on the technology platforms that were available. It seems as though each and every client had a different platform that they preferred to use for delivering their email marketing messages. As well as different considerations for the types of messages and the types of emails that we would send out to varying different clients, ranging everywhere from e-commerce direct sales emails to the softer side. More or less what we have today as exists through in-bound marketing using information as currency to keep an audience warm and to interact and engage with an audience through a channel, in this case, email, that they found to be most conducive. This experience predates everything with social media. If you were to have regular dialog with your clients, or with your audience, your potential customers at the time it was truly email was really the only medium at the time in which you could send a direct message to these tier constituents to your potential customers to let them know what’s going on with your business via new events, new products, or that you’re running a sale. Just to say hi, check out this link we saw. This predates Twitter and Facebook as entities. This was pretty much it back in the day. Ellen Harris: Now as a target market, you identified business owners. What were some of the challenges you observed that attracted you to that market? Jason Werner: Some of the challenges business owners face? I’ll tell you it’s an internal struggle as well as an external struggle to really break it down. The internal struggle that business owners face from a challenged perspective is understanding data which we do a lot of simplifying data for our customers here at Opus Media. Understanding and tempering behaviors would be another thing that business owners struggle with internally in terms of the tendency to over email or on the other side of that, under email or neglect their email campaigns, would be the two biggest things for an internal struggle. The external struggle is just understanding your audience and developing and understanding your audience. One of the major ways in which email succeeds as a platform is its ability to be measured which is something that really harkens back to the core branding it does here at Opus Media is that we’re able to measure and monitor and optimize around the data when it comes to email marketing to better understand an audience. For business owners the challenge being how do I acquire that data? How do I make sue of that data? How do I give it meaning? And then once I have data and once I have an understanding of what that meaning is with that data, what do I do with it from there? How do I leverage this to improve what I’m doing? Through a series of evolutions, we have developed what we like to think of as an email training regimen we go through with clients. We view ourselves much like a sports coach would be viewed on a sports team in the sense that we’re here to help our business owner clients develop the mechanics of doing the foundations of email marketing and building on those foundational mechanics to leverage optimization. Ellen Harris: Okay. Here’s a question that most business owners ask. Is it possible to achieve a return on investment with email? How important is email in that respect? Jason Werner: As far as acquiring an ROI from email marketing, as the DMA Direct Marketing Association will have you believe through its data from 2013, email marketing can yield an average of 4300% ROI for businesses across brands and across industries in the United States. That’s their latest published data on email marketing. As far as when we talk about the Direct Marketing Association and all the types of marketing in which they oversee, it includes things like direct mail and other direct marketing channels where you’re going one-to-one direct to the consumer. Email has, as long as I’ve been looking at the data at the DMA has published has always been the biggest return leader as far as ROI is concerned, second only to doing No. 10 letters. Second on that list is always No. 10 letter mail. As far as ROI, it represents the efficacy that you don’t have with a traditional printed direct mail piece. Plus the cost savings you don’t see when you have to talk about paying for postage and paying for printing and variable data printing. To match an email campaign it can be quite costly from there and still generally speaking don’t have the level of control that you have with email in terms of how specified your message can be to each vendor. Part of that 4300% ROI the DMA has published as of August 2013 is really predicated on your ability to, the cost savings with email first and foremost but also your ability to target your message. This is really the big key thing why email marketing succeeds above and beyond all else. You can target your consumers based on their interests: their buying patterns, their behaviors. Whereas with direct mail it’s delivered when the USPS gets around to it so to speak. With email we can learn and observe from open rates when the best time to deliver an email marketing message. Ellen Harris: Really small business owners, the solo preneur may have this feeling, well I don’t want to send so much email. I don’t want to bother people. They may fail to recognize that there is a hole with email marketing. What would you say to that solo preneur who is hesitant and tentative about sending email? What’s the true goal of email marketing. Jason Werner: The first thing I would say to someone who is hesitant to do email marketing is that you don’t actually know what your customers are going to respond until you start to try to do it and then measure what that response is. Again, one of the big components of why email marketing is so ROI friendly at the end of day is because it is so measurable. The goal of email marketing is varied from campaign to campaign. It comes back with the overarching goals of the business at the end of the day. For e-commerce customers it’s often about driving a conversion. Hey, we’ve got these 10 new products on the site and if you act right now you can use this 10% off coupon code to drive a sales to email marketing that way to get that sale message out there is a lot more cost effective to do it through email than say taking out a traditional print ad in the newspaper to say we’re having a sale on these new products. Or even online with display advertising and paid search, email marketing still shows up as being more cost effective. I think the important thing is you have goal first and foremost. A lot of what we do is the early definition of any campaign during the challenge is understanding what our goals and what are conversion metrics are. Again, with e-commerce conversion metrics become a little bit plain in the sense that we’re able to with no surprises know that it comes back to driving a sale. Whereas, when you talk about lead generation and the softer side of marketing with brand awareness, the measurability of those elements becomes a little bit softer. And certainly something that takes a little bit more consideration for how you measure. The importance is understanding if you are running what your conversion metric is, what your goal is for your email marketing campaign. Is it I want more people to be aware of my brand? Or is it do I want to have someone place a sale from my e-commerce store? Or am I just trying to capture more information. A lot of times people fall into that middle realm which is that they’re looking for lead generation. Probably a big popular part of what we do with email marketing at Opus Media is help people generate leads. It shows that they have more than just a warm interest in your product or services by taking it a step further. Again harkening back to how email marketing sets in the inbound marketing using information as currency, email marketing can drive people to download a white paper or download an infographic, or provide them with content that is of value to them, and using the email as a tool to deliver that message and then drive them to a way to convert. In which case, the currency that’s being exchanged is your information for their details as far as what their interests are. I would say the big take-away being it’s important to have a goal. It’s important to find that goal early otherwise you’re left not understanding, or left in a position where you can’t possibly measure the efficacy of your email marketing because you have no defined goal in front of you. Ellen Harris: Now with in mind, the goals, the strategies, the word “campaign” and you’ve used it several times. I always counsel my clients to design a campaign around the goal that you would like to achieve in exactly the framework that you describe. The question that did come up is what are best practices with email campaigns? Jason Werner: I guess as we define what a campaign is, a campaign generally speaking is a series of email messages with a targeted goal in mind as we’ve just discussed. The best practices that we often find ourselves leaning on as foundational to someone who has never taken a foray into email marketing before, are just simply put just leveraging historical data for what we see to be those elements of running a successful campaign as a foundation or starting place. This is Point A in your email marketing campaign in terms of we understand these parameters about your email campaign. We know who we’re trying to reach. We know what sort of messaging we’re trying to put in front of them and we understand what the conversion metric which we’re using as the benchmark for the success of this campaign. Well what are the best practices? How do we get that campaign to these people? What are the things we need to do within the actual email body itself in the subject line, in the sender as well as with the delivery in terms of what time of day and time of week best practices. There’s lots of variations from industry to industry and list to list as to what times of day. Morning, noon, night or time of week, Monday, Friday or middle of the week. What types of lists respond to which types of deliverability in terms of when are we sending a message. Establishing those best practices is a great foundation for getting started to accelerate the success of those campaigns. But more importantly from there, taking and learning which of those best practices do apply to your email marketing list and which best practices are those gotcha or those aha moments where we simply learn that your list is deviant from best practices. Being able to measure that and take note of it and then react by reoptimizing what you’re doing. Ellen Harris: As an expert or specialist in email marketing, I’d like you to address if you will for the more advanced audience the A-B testing. Many people are not sure what that means. Do I test with one subject line and then test with another? Help us understand the bit about A-B testing and why it’s so effective. Jason Werner: A-B testing is effective when it’s done correctly. Correctly subjective opinion here comes back to how you implement A-B test. You’ve already touched on how A-B testing in its simplest iteration is done based on the subject line. Again, coming back to our goals with A-B testing, our goal in that case is to discover which subject line has a greater open rate. When we talk about I will say my subjective opinion of what correct A-B testing is, is when you’ve got a list of substantial size. We’ll say our territory list is 10,000 people. You take a small segment of that list. Of that 10,000, we might send a message to 1,000 people. Of those 1,000 people we’ll have two subject lines, subject line A and subject line B. 500 people are getting subject line A, and 500 people are getting subject line B.
A-B testing, again when done correctly, will take those groups of 500 send them each one of each variation of the subject line and we discover which of those groups A or B had the higher open rate based on that subject line. From there, we’ll take whichever one of those campaigns was more successful based on subject line, or one of the messages rather based on subject line and we’ll send that out to the other 9,000 people on your list by dong the segmentative testing essentially to determine which subject line has a greater impact on your open rates within your audience of your list. Ellen Harris: In my own company we’ve tested subject line that involves some metric. 30% of something occurred and we find that we have a high open rate when we use some metric in our subject line. Do find the same to be true in your testing? Jason Werner: I think one of the interesting things about email and why we put so much credence in developing the mechanics is that we need to look for that data with each and every client in every industry. It really does vary from audience to audience. That’s one of the unique things about email is that everybody has a different list that they’re mailing to. That list develops a personality and you develop an understanding and a relationship with that list over time to know whether or not they’re going to react to putting statistical facts into the subject line or not, is your understanding of who your list is. You’ve developed that relationship of understanding. You know the folks on your list are intrigued by analytical subject lines that represent data in that fashion. It gets them engaged and gets them to open stuff. That may work for your list but it may not work for somebody else’s list. It really is a matter of testing. Hypothesizing which types of messages are going to work and then testing those hypotheses to see if the analytical message works over the more casual subject line, for example. Again, understanding who your list is as a group of people at the end of the day will really help you determine what types of subject lines work best. It really is varying from one list to the next. Ellen Harris: And it always comes back to knowing your market, understanding the people on your list, communicating with them in a manner that they finding interesting to them. I’d like to go beyond email for a second. When I look at your website one of the things that you do is landing pages. Everyone is always interested in how I can make my landing page more effective. I notice that Opus Media has a strategy for that, or you specialize in looking at it correctly in landing page strategy. Share with us a bit of why that’s important for Opus Media. Jason Werner: As far as landing pages are concerned, it’s often one of these overlooked yet vital details to any campaign, be it an email campaign or a paid search campaign. Or any other campaign where you’re driving people through a link back to your website. Where you send those people can be vital to the success of your campaign. You’ve taken the time, you’ve spent the money. You’ve put together the hard work and blood, sweat and tears to put together this marketing campaign. To just randomly dump them on your home page oftentimes it is to kill your campaign in the 11th hour in the sense that if you’re not completing that message from the time of them getting the email to the time of them landing on your site with a consistency for expectation purposes, you can often find that your campaign drops from there. With the example of email, you may have a campaign that has a really great open rate and really great click-through rate, but you have no conversion to show for it as we break that down and look at where the bottleneck is in your conversion funnel. If we find that it’s at the last step, it means that your landing page isn’t effective at getting people to take that next step. Be it pick up the phone and call you or fill out the contact form to learn more information and be indoctrinated as of one week. Or in the case of e-commerce, make a purchase. Landing pages have everything to do with completing expectations for your audience. I received an email about this great sale on shoes. If I land on a page that’s full of men’s pants, I’m going to experience a disconnect there as an email recipient and have a greater likelihood of not transacting or completing a conversion. I was looking at shoes. My interest was in shoes. The email was all about shoes but I landed on a page full of pants and now I’m disinterested. Developing a landing page that is consistent with the rest of your campaign that isn’t simply sending your audience to the home page of your website or the contact page of your website which is often usually fairly sparse with information. Rather setting up a page that facilitates that information that they received in their email that drives it a step further. Then understanding where your audience is at this point. They’ve already clicked on your email to open it. They’ve already clicked on something in your email to send them to this landing page. There’s two steps of behavior that have already happened to show that this person is really, really interested in what you have to say or have to sell. The landing page represents your opportunity to drive it home for them and to ask them for that information. To say, give me your information or buy these shoes today. What we do with landing pages a lot of times is develop strategies for figuring out which landing pages, which types of layout, design, messaging are most effective for our clients. Much like we do A-B testing with subject lines as we just discussed, landing pages can be A-B multi various tested as well. To know if the red button gets clicked more on the landing page for submitting the form or is the green button that gets clicked more for submitting the form. To know which headlines work best, which header images work best on these landing pages to get your audience to take the next steps in conversion. It all really depends on those factors in being able to set up the tools for testing landing pages, both A-B or multi various when we have a third option in the mix. Ellen Harris: I’m going to throw you a curve. Unprepared for, unrehearsed. As you know, in business, people like to know that you have expertise, and that’s great. It’s clear that you have expertise. But I want you to talk to us about you. Why you design, develop, created Opus Media. What is it about marketing and all of the things that you do that get you up in the morning, that excite you, that keep you in business [inaudible 00:21:58]. I guess I’m asking you, tell us about you Jason. Jason Werner: I’ve had people ask me how I got started in this before. The long version of it which may be another interview of itself is that I guess I’ve always know this is what I was going to do since the second grade when I brought in some drawings I was doing at home to have my then art teacher give me my very first art critique. I went on to get a fine arts degree in college with supplemental degrees in marketing and art history actually. I went on from there and knew I wanted to work in advertising since day one of college. I went out after college and sought out the jobs in advertising and got the privilege of working at the top of my field at least as the geography would allow. We have an interesting market here in Baltimore. Working for both of the largest agencies in the city, one of which has gone to the wayside. The other one is still here. Having derived from those experiences what the biggest of the biggest types of clients were expecting. Being able to work with large clients on large projects afforded an opportunity with experience there to really explore a lot as well as I’d say influence a lot my work ethic. I then looked to take and scale down for the small to medium sized businesses that we work for now at Opus Media was always my idea. My idea was that we could take a lot of the big agency experience and by setting a small boutique agency which is what Opus Media was intended to be and what it is today could allow small and medium-sized businesses to engage in that experience. To have someone guide them through a process with the understanding that that process was honed through large accounts for some sizable Fortune 500 companies at the time. For me, it’s about the idea that you can deliver the big scale ideas to a smaller audience. It really sparked Opus Media the genesis of the business. It’s being able to do that for my clients day in and day out is the reason I get up in the morning. Ellen Harris: This has been a very quick interview. Much faster than I’ve expected. You’ve been quite thorough. In these last minute 30 seconds that we have, 90 seconds, share with us if you will something that we did not talk about that is close to your heart, that’s passionate for you, that I didn’t ask you about. Jason Werner: Again, like I said, it’s one of these things where I picked it up because nobody else wanted to do it. I just kind of owned the process. I got a lot of experience very quickly because all these big name clients wanted it. Talking more about email where it’s going I guess would be the thing I would use for a second to talk about. 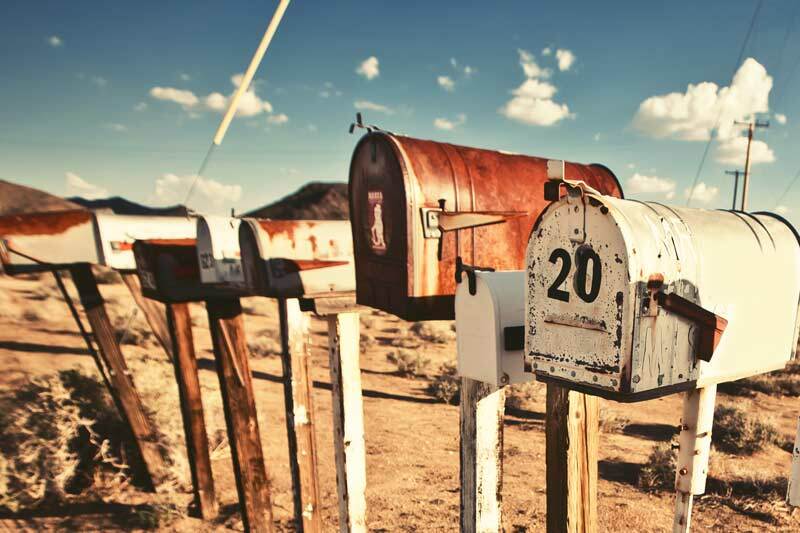 Much of email has changed the way we used to email market when I first got started. Keeping in mind that email marketing was it as far as directing or action with your potential customers. There was no Facebook. There was no Twitter at the time. As far as social media wasn’t an entity as of yet. As we talk about the evolution of email marketing, email is definitely evolving into being a more targeted, a more segmented, and more casual. Casual in terms of how intimate it can be with your audience. Being able to be more tapped into who your audience is. To be able to segment down to the individual, but then taking this big data approach as we hear that word being used regularly. This big data approach to measure your lists on the whole and then segment down to the granular individual and being able to know that Sally Smith responds to emails sent at 11 o’clock. And John Johnson’s response to email sent at 4, we can schedule a campaign now and send it out to different people based on their preferences, even further than we could before which is interesting. A lot of this again comes back into the nature of inbound marketing in a lot of ways which is where email is kind of finding it’s new home, we’ll say. Email marketing is being enveloped in a lot of ways into inbound marketing. For our audience members who may have heard the term and not quite sure what to make of it, have not yet begun any research on it. Simply put, inbound marketing is the ability through leveraging a number of different marketing channels to engage with an audience of warm leads and keep that audience engaged until they are at a point in their buying cycle where they can come back and make a purchase. It’s about engaging and measuring the temperature of your audience so that you can send messages to keep them warm and then when you find that your audience is increasing in their likelihood of purchasing, you can ask for the sale at the end of the day. It’s a way to keep an audience engaged without annoying them really is what we’re all trying to avoid with all channels of marketing. As far as the new home of email marketing, it really is inside the umbrella of inbound marketing as far as where it’s going into the future. Ellen Harris: Today we’ve had the privilege of speaking with Jason Werner, founder, President and Owner of Opus Media. You can find him at opusbywire.com. Jason, it’s been a real pleasure to have you launch with us our marketing being for 2015. I appreciate you’re coming. Jason Werner: Thank you for having me, Ellen.